The Contemporary Cardinal Christmas piece is the gift that keeps on giving with this beautiful keepsake vase! 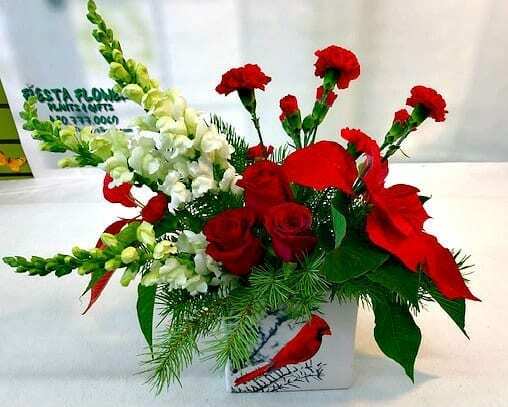 Filled with complimenting red Carnations, Roses, Poinsettias, and white Snap Dragons this arrangment is perfect for your house hold or loved ones you are thinking about this holiday season. Let this simple but elegant piece grace your wonderful home.